Inspired by ancient pottery design is the bold and beautiful Swallow Vase, made from solid ceramic with a glazed exterior. 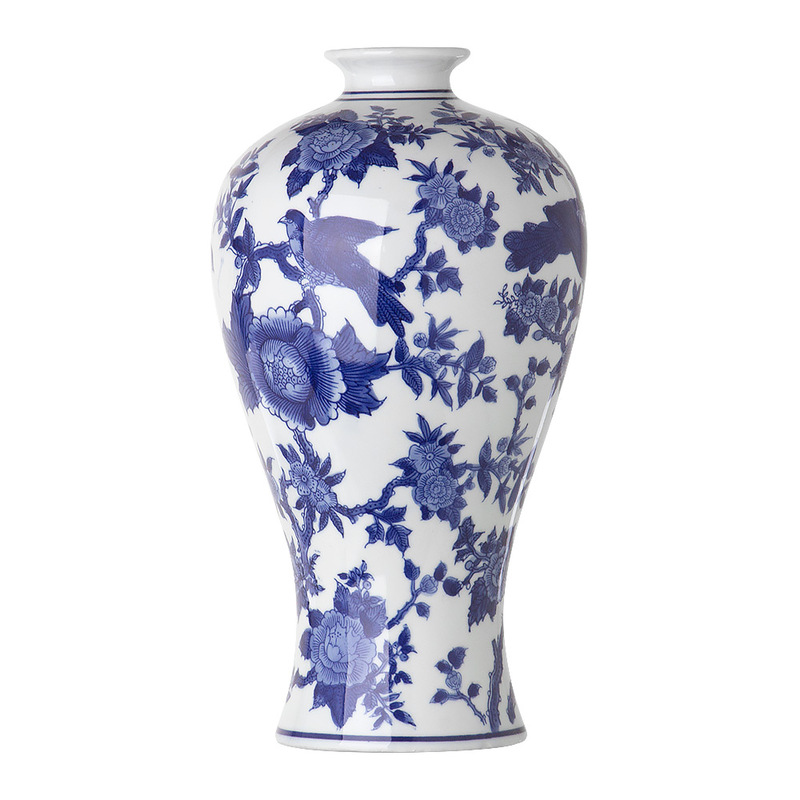 Decorated with a whimsical design that sees a swallow perched among the foliage in blue and white, this vase recalls the porcelain pieces mastered by Chinese artisans during the Ming Dynasty, many centuries ago. But the real beauty of this vase? It’s the what you choose to do with it that will really make it stand out. Decorated with an Oriental swallow design. Please note: we recommend that you display faux or dry flower arrangements in this vase, as the interior is not glazed. Dimensions: 15cm (w) x 34cm (h).